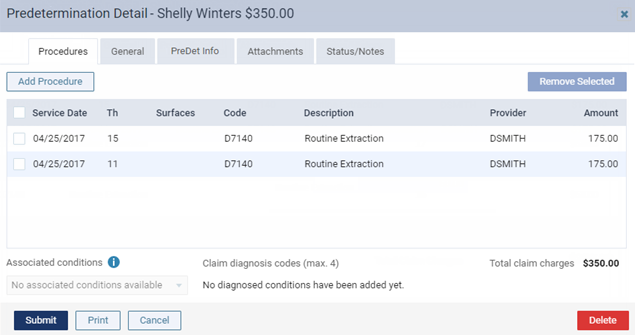 You can create a pre-authorization (pre-treatment estimate) from a patient's treatment plan, which will be sent to the insurance carrier. On the Patient menu, under Clinical, click (or tap) Treatment Planner. On the Patient menu, under General, click (or tap) Overview. The patient's Overview page opens. Click (or tap) the Treatment Plan box. 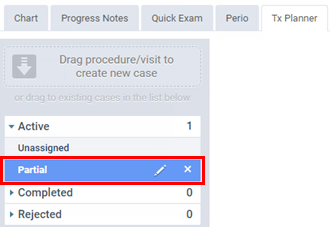 The patient's clinical record opens with the Tx Planner tab selected. On the Tx Planner tab of a patient's clinical record, under Active, select a treatment plan. The procedures (arranged by visit) that are associated with the selected treatment plan appear. Select the check boxes of the procedures that you want to include on the pre-authorization. Note: A pre-authorization cannot include procedures from multiple visits. 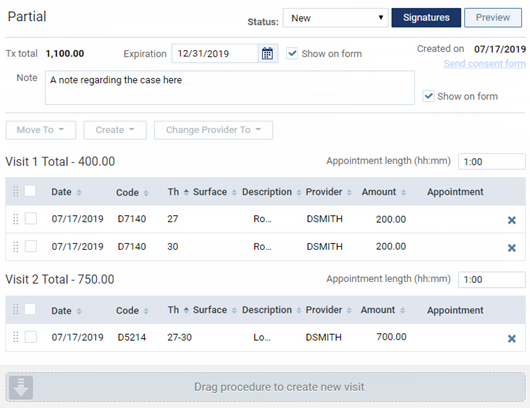 You must create separate pre-authorizations for procedures within separate visits. Click (or tap) Create Pre-authorization. The Pre-authorization Detail dialog box appears. Change the details of the pre-authorization as needed.